Why put off that well-earned holiday until tomorrow? With plenty of great Australian holiday deals on offer, experts are encouraging us to not hoard our annual leave until we retire, but to use it to experience Australia and escape the pressure of the workplace for a few days or more. Getting out of the office and taking a holiday not only benefits our health and can help us reconnect with family and friends, it can also provide long-term professional benefits, improving productivity and increasing morale when returning to work. Acting as a timely reminder of the importance of taking your entitled annual leave, especially during times of reduced resources and increasing workloads, Tourism Australia’s No Leave No Life program aims to encourage Australian employees to take their leave and explore Australia’s many experiences on offer. Research shows that Australian workers who work long hours also tend to take work home to complete and these hours do not necessarily equate to productivity. Long hours are a good predictor of role overload, work interference with family, alongside burnout and physical and mental health problems which are not sustainable over the long-term*. 1. Embrace the wide open space which can be only truly experienced in the Outback and get back to basics. Kick off your shoes and walk barefoot upon Australia’s famous red dust and gaze up to the sky for nature’s show of shooting stars. 2. Feel energised again. Breathe in the fresh air and feel the salt spray wash away the cobwebs as you wander out to Australia’s most easterly point, Cape Byron and be the first to welcome in the new day. 3. Dreaming of a Mediterranean escape? Fill a basket full of local goodies, find some grass for a rug and picnic amongst vineyards and olive groves along the Mornington Peninsula. 4. Get active and kit up for one of the world’s most amazing snorkelling experiences. Dive into crystal clear water and immerse yourself in the magical underwater world at one of the greatest natural wonders in the world - the Great Barrier Reef. 5. Bring out the artist within and rediscover your creative streak. Feel inspired as you lose yourself for the day amongst 100,000 impressive works featured in the National Gallery of Australia. 6. Remember what it’s like to “feel alive” and get the adrenaline pumping as you glide like a bird over Tasmania’s Hollybank Forest Reserve on a treetop tour. indulge in the array of food and wine, sporting and musical events on offer. bubbly and private dinner for two on the water’s edge. be guided by the sound of Gunlom Falls’ water cascading for your next “cool down”. 10. Recharge the batteries. Pack the car and kids and set off on a road trip following Australia’s famous coastline. Spend the days building sandcastles, exploring rockpools, and playing cricket on the sand. Pitch the tent, take long walks along the beach, cast the rod, catch some dinner and fire up the BBQ. 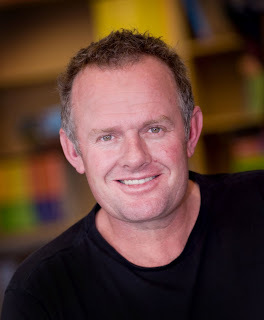 The program’s website www.noleavenolife.com provides regular, up-to-date tips and tools to help every Australian tackle the issue of stockpiled annual leave and plan an unforgettable holiday in Australia. Tiger Airways now has the ignoble title as Australia’s worst airline, with only 55% customer satisfaction received in a recent survey conducted by consumer magazine Choice. In a survey of major domestic carriers and their satisfaction results Virgin Blue won top honours with 68% satisfaction, climbing up from its second place position from last year and edging out Regional Express from its top spot. Qantas sat in the middle of the list of five at third with 61% satisfaction, only slightly ahead of Jetstar, who was voted as the second least favourite carrier with a 60% satisfaction rate. If it was any comfort for the much harangued carrier, Tiger Airways did come first in the sub-category of “value for money” with 75% satisfaction, narrowly edging out Virgin Blue who scored 74%. In all other areas of in-flight service, seat comfort, ability to get a convenient flight, and booking process, Tiger Airways sat either last or second last on the list. “Since Tiger Airways became Australia’s third budget airline in late 2007, domestic air travel has never been more affordable,” said Choice in its report. “With return airfares between some capitals now costing less than $50, including taxes, flying interstate is often cheaper than driving. Interestingly 40% of travellers cite “value for money” as a major factor in their choice of airline, while 32% say frequent flyer points are important, and another 28% say schedules are important. For those still flying with Qantas, the popular frequent flyer scheme was the main motivator, as was “force of habit”. The snow may have melted away in Australia, but there has never been a better time for Australians to hit the slopes. Those in the know are making a beeline for the heart of the South Island, Canterbury, which has more ski-fields than any other region in New Zealand, making it the favoured destination for skiers and snowboarders of all abilities. The best winter snow season in more than a decade has left Canterbury's ski areas blanketed in snow, with "powder-perfect'' conditions for both skiers and snowboarders alike. Couple those conditions with low-cost airfares, discounted accommodation, and a favourable exchange rate and it's not hard to see why thousands of Australians are heading across the Tasman this year to slide down a mountain. "We're blessed to have 16 ski areas, including Mt Hutt, the biggest in Australasia, all on Christchurch's doorstep so whether you are novice or a budding Olympian you are guaranteed to enjoy your stay in the snow,'' says Christchurch & Canterbury Tourism chief executive Christine Prince. "Traditionally a lot of Australians have gone to Queenstown for their skiing holiday but frankly it's getting a bit crowded down there and we have more flights. "More people are realising that in terms of variety and ease of access you can't beat the Canterbury ski areas. The nearest field is only an hour away, there are lots of daily flights straight into Christchurch airport and the facilities are world-class,'' says Christine Prince. And with plans to develop the region's second biggest ski-field, Porters, by building European-style accommodation for up to 3000 people at the foot of the mountain and expanding the 700-hectare ski area into the adjoining Crystal Valley, Canterbury is poised to become an even more appealing winter destination. "This development is just going to increase our fantastic facilities and make Canterbury an even more desirable winter get-away for snow-starved Australians who want some fun in the snow and the chance for an alpine adventure,'' Christine Prince says. Australians keen to hit the slopes this spring will find information about Canterbury's skifields, accommodation deals and other attractions in the Canterbury region at www.christchurchnz.com. The Chilean cruise company Cruceros Australis which operates from Punta Arenas is having a third vessel built in Valdivia which should be operational for the 2010/2011 season, according to Branco Ivelic, manager of Cruise Operations. Stella Australis will join the Mare Australis and Via Australis “sometime in October, November next year on time for the celebrations of Chile’s bicentenary”, said Ivelic in an interview with La Prensa Austral. Ivelic said the company has been in business since 1990 mainly with “expedition cruises”, when “nobody in the region was thinking of developing this option. We continue on the same line and we are planning long term, that is why the new vessel”. 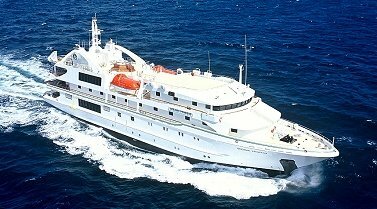 “Stella Australis” does not come cheap for a Chilean regional expedition cruise company: 23 million US dollars for a vessel 89 metre long and 14 wide with capacity for 210 passengers and 60 crew members. Although of similar shape, the new Australis is far more efficient (the current vessels carry 136 passengers), with an improved display of cabins and more amenities. Ivelic said the company is investing in spite of the fact that the last season “we felt the impact of the world recession and something similar we expect this year since 90% of our clients are foreigners”. “We expect a trade contraction of possibly 20% less passengers, but sooner or later the crisis will be over. We believe this will begin to be seen in the second half of next year, and regional tourism will again begin to grow, the attraction and potential of the Patagonia region is immense”, underlined Iveli. Tropical holidays don’t get better than this special Reef Island and Cairns Getaway at The Lakes Cairns Resort and Spa. From only $AUD850 per person you get three nights in a one-bedroom apartment at The Lakes in the heart of Cairns city’s cultural precinct and then stay on the Great Barrier Reef with two nights at Green Island Resort. The five-night getaway includes a tour to the outer Great Barrier Reef, a full buffet breakfast daily at Green Island Resort, an airport transfer to The Lakes, a transfer from The Lakes to the Reef Fleet Terminal and launch transfers to Green Island Resort. Situated only 3km from the Cairns International Airport and 3km from the Cairns CBD, The Lakes Cairns Resort and Spa is an award-winning 4.5 star resort situated on 4ha of lush tropical gardens, scenic lakes and large resort style pools. The Lakes is a member of Vision Hotels and Resorts. Rarely are you given the opportunity to peek inside a private paradise. Ralph and Janet Hogan are opening the gates to their private garden as part of the Australian Open Garden scheme, the weekend of 31st October and 1st November. Perched on a promontory, overlooking Hayman Island and the Coral Sea in Airlie Beach, Villa Botanica combines a magnificent sub-tropical garden in a stunning coastal setting. Driven by a desire to create something significant and inspirational, owner Ralph Hogan says, “I am influenced by the turn of the century when people created lasting beautiful spaces. My newest addition to the garden is a Cactarium, which I like to imagine pays homage to the Art Nouveau hothouses of Europe.” The open garden weekend gives nature lovers the rare opportunity to experience the sense of life, growth and creativity in this wonderful setting. The new Cactarium will be officially opened by popular gardening identity Helen Young, who will be available to talk to visitors over the weekend. The property includes one of the largest succulent gardens in Australia along with some rare and great cactii including a huge 55 year old Echinocactus grusonii. There is also a remnant native monsoonal vine thicket forest with some substantial Mackay Cedars, lots of tulip oaks, Burdekin plum and the local bottle tree, Brachychiton compactus. Jungle aroids clamber-up rainforest trees and a beautiful pebble pathway winds through the magic. There are elegant fountains, fabulous views, beautifully carved one-offs from Bali, niches of wonder and oddities. Janet Hogan says “It’s a very beautiful location and one we have the great fortune to be custodians of. It’s a privilege we love sharing with others”. Villa Botanica is rarely open to the public, except for exclusive weddings and special events. Profits from the open garden weekend will be donated to Quota International of Whitsunday which is best known for its services to the hearing impaired. The garden will be open from 10am-4:30pm on Saturday and Sunday and the entry fee is $6.00. Over 250,000 people visit the open gardens around Australia each year. Orion's latest full colour brochure, just released, features evocative colour spreads, some by award winning Australian photographers Ken Duncan and Earl Carter (along with winners of the Orion Photography Competition) depicting key destinations, along with an overview of guest experiences and life onboard. In addition to destination features including the Kimberley and Arnhem Land, Papua New Guinea, the Spice Islands, New Zealand and Antarctica, the 2010 brochure contains useful information for potential expedition travellers, demonstrating the differences between typical mainstream cruising and the stimulating physical and intellectual experiences to be had on an Orion expedition voyage. The brochure contains comprehensive information on Orion's range of 5 star accommodation and facilities, (with floor plans from Staterooms to Owner's Suites) and examples of onboard luxuries such as boutique, massage, spa, elevator and lounges – and Serge Dansereau's award winning cuisine. Included with this year's brochure is a useful lift-out reference booklet containing in-depth itinerary details by destination, pricing (with savings for early booking) and Calendar of Sailings for all expeditions throughout 2010 and early 2011. Brochures are available by contacting Orion Expedition Cruises on 61-2 9033 8777 (Sydney callers) 1300 361 012 (regional and interstate), through the website at www.orionexpeditions.com/brochure email info@orioncruises.com.au or through specialist expedition cruise travel agents. Expansive landscape format and photography reflect seascapes and vistas typically encountered on Orion expeditions. Falls, cultural dance groups and remote beaches in PNG and Melanesia, and wildlife encounters on New Zealand's Sub-Antarctic islands and Antarctica. In 2010 Orion has Australia covered - for the first time Orion will be visiting every Australian State - plus Macquarie Island and Antarctica. Two coastal highlights voyages that include Victoria and South Australia in November will round out visits to every State and the Northern Territory. Expeditions also include Melanesia, remote islands of Papua New Guinea and Indonesia, New Zealand fjord lands and sub-Antarctic islands. Those seeking warmer climes can cruise our own Great Barrier Reef – perfect for shorter breaks in one of the most beautiful parts of the world – and easily accessible through major gateways. An electronic version of the Orion 2010 brochure can be downloaded from www.orionexpeditions.com/ebrochure or a printed version mailed directly simply by contacting Orion Expedition Cruises: 61-2 9033 8777 (Sydney callers) 1300 361 012 (regional and interstate), emailing info@orioncruises.com.au or visiting your travel agent. Calling all Cairns yogis! Commencing Tuesday 1 September, Paradise Palms Resort and Country Club will offer twice weekly yoga classes in its beautiful tropical surrounds that are aimed at increasing spiritual, mental and physical wellbeing. From next week, one of the region’s most experienced Hatha yoga teachers, Karen Thesinger of Xclusive Yoga will lead two, 90 minute classes from 6pm every Tuesday and 9am every Saturday. According to Karen, yoga is a well-known, Hindu method of exercise and discipline aimed at spiritual, mental and physical wellbeing. “I am thrilled at to have such a breathtaking environment as my backdrop to introduce the art and science of yoga. From our very first class we will explore this ancient, Eastern philosophy through the practice of ‘asanas ‘or postures that are all focused on promoting a healthy body and mind. “These classes are open to everyone –those who are new to yoga and those continuing to develop their practice. Each class is designed to meet the individual needs of participants in a safe and encouraging environment and to inspire a sense of peace,” said Karen. Each class comprises a series of warm-up stretches and postures, breathing techniques, alignment of postures and personal adjustments – culminating in a deep relaxation session. Karen Thesinger is a qualified yoga teacher and member of the Yoga Teachers Association of Australia. Book a three, four or seven night Fiji Islands Cruise with Captain Cook Cruises and receive two nights accommodation for the price of one at the Radisson Resort Fiji, Denarau Island. Situated only minutes from Captain Cook Cruises port of departure; Port Denarau, the Radisson Resort Fiji is ideally situated to provide the perfect pre or post cruise accommodation. Radisson Resort Fiji. The resort is nestled around lagoon swimming pools and lush tropical gardens and has everything you want – water sports, fishing, beach activities, golf, island tours, Harmony Retreat, Fiji’s only ‘White Water’ waterslide, dedicated Kids Club and a range of dining and entertainment options. Captain Cook Cruises offer three, four and seven night Yasawa Island cruises and a 7 nights Northern Fijian Dateline cruise aboard the 120-passenger, fully accommodated MV Reef Escape cruise ship. Giving passengers a truly cultural experience, all cruises visit unspoilt Fijian villages and handicraft markets, experience a traditional village sevusevu ceremony and Meke and Lovo feast, tour a village school and visit a village church and experience the beautiful sounds of the children’s choir singing. The three-night Southern Yasawa Cruise departs Denarau on Saturday at 2.00pm and Early Booking Savers (EBS) fares start from $900.00 per person twin share. The four-night Northern Yasawa Cruise departs Denarau on Tuesday at 2.00pm and the EBS fare is available from $1200.00 per person twin share. The seven-night Yasawa Islands Cruise departs Saturdays and Tuesday’s at 2.00pm and EBS fares start from 1995.00 per person twin share. Prices include all meals on board, guided village and island tours, glass bottom boat excursions, on board entertainment and use of the ship's facilities including swimming pool, spa, pool bar, sun deck, sauna, cocktail bar, day spa and library. This deal is available until December 2009 and valid for travel 20 October 2009 – 31 March 2010 excluding 28 December 2009 – 4 January 2010 inclusive. For further information and bookings, please contact Captain Cook Cruises toll free from Australia on 1800 804 843; Int +61-2-9206 1100, Email: fiji@captaincook.com.au or visit www.captaincook.com.au. John Dyson, Skipper of Fantasea Adventure Cruising vessel 'Wonder', sighted Migaloo, the Albino Humpback Whale on the way home to Shute Harbour from Hardy Reef (51 Nautical Miles from the mainland), East of the Whitsunday Islands at approximately 4pm on August 25. He spent around half an hour observing Migaloo for all 113 guests on board. This was a very rare sighting and is believed to be the first sighting of Migaloo in the Whitsunday waters this season. If Dad has a green thumb, why not take him to Kings Park - the biggest inner-city park in the Southern Hemisphere - and on Fathers Day this year, the park will be in the midst of its annual Wildflower Festival. Peruse the many displays, walk one of the many trails, and admire the Kimberley garden. And when Dad works up a hunger during the festival, shout him a hearty lunch at one of the Park's many cafes and restaurants, or head to the coast and enjoy a beer as the sun sets over the Indian Ocean. If zooming around a race track sounds more like your Dad, then take him to Trackskill WA, where he can zoom around in a V8 Commodore. Alternatively, if Dad’s more into spectator sports, support WA’s local football league, the WAFL, and support a team in the first week of the finals, which happens over the Fathers Day weekend. WA's South West is the perfect place to please the palette of the Dad who loves a good drop. In particular, the Margaret River and Great Southern wine regions are home to 220 grape growers and 100 cellar doors, with breweries, award-winning restaurants and much more, all making good use of the region's delectable local produce. If Dad's a true wine lover, grab him a Cellar Door Pass. Available from the Margaret River Visitors Centre, each pass allows two people to collect special wine offers in Margaret River and the Great Southern region. While down south, Dad might like to catch a few waves. Margaret River is one of the most consistent, scenic and laid back surfing destinations in the world, home to a huge crop of challenging and powerful waves over 40 scenic kilometres of coastline. For a true outback adventure, take Dad on a trip to Australia’s North West. This area can provide a range of adventures, with a taste of red dust, with everything from bushwalking tours, helicopter rides, and fishing safaris – all in an area that’s still so untouched, spectacular and pristine. Or if Dad likes a gamble, take him back to the original Goldfields for a game of Two-Up, and to uncover the history and outback legend that has become the State’s biggest region. And while there, he might want to want to check out the start of the Nullarbor Links – the longest and biggest golf course in the world which is set to open in October. Stretching along the Eyre Highway from Kalgoorlie to Ceduna in South Australia, the recently opened 18-hole par 72 golf course spans 1,365 kilometres with one hole in a participating town or roadhouse. Each hole includes a green and tee amongst a rugged outback-style natural terrain fairway, providing a quintessential Australian experience and a fantastic attraction for travellers along the highway. No matter how fussy your Dad is, you can be assured Western Australia has something to satisfy him this Fathers Day. The ultimate holiday for adventurous spirits, wanting to experience new cultures first hand and even spend their vacation time doing something for the greater good, has to be the upcoming Variety Vietnam Hills Trek & Community Project. The trip offers travellers a unique opportunity for like adventurous and community minded peoples of all ages, to see the real Vietnam form the fascinating bustle of Hanoi to the seclusion of the Mai Chau highlands as well as participating in a community project. The packed 13 day itinerary gives a birds eye view of daily life, including working sugar cane, tapioca, rice paddies and peach plantations while staying in charming traditional long houses and meeting indigenous hill tribes including the H'mong, Thai and Muong along the trek through remote mountainous villages in parts of the country that receives very few visitors. And the highlight, a stay at the village of Bao La commune getting to know the minority White Thai people, while constructing a much needed classroom for the village’s children, which culminates in a handover ceremony. Participants must fundraise $7,000 to participate in the trip, of which at least half will go to Variety the children’s charity while the remainder covers the trip including return airfares (based on a Sydney departure), English speaking tour leader, accommodation on a twin share basis at standard hotels with daily breakfasts in Hanoi; home stay accommodation in Mai Chau; airport transfers if arriving an departing on group flights; all group transport; all trekking arrangements (local guides, porters, permits, sleeping gear); all entrance fees on sightseeing days; meals as mentioned in the itinerary; and arrangements for the community project. Participants are also given assistance with a Fundraising Tool Kit, with ideas, advice and support as required. For anyone that preferred to make a contribution to Variety rather than fundraise, such donations are tax deductible. It is hoped the Trek will raise more than $100,000, some of which will be used to buy a new Variety Sunshine Coach to transport disadvantaged Australian children to extra curricular activities from sporting lessons to educational programs and holidays. If the lure of experiencing a country from this truly local perspective, meeting like-minded people, helping raise funds for kids in need and assisting with the community project, aren’t incentive enough, the Vietnam Trek is also a great substitute for a health resort, with around 14 kilometres gentle trekking a day along village paths, part and parcel of the holiday! The package includes one-way air from Sydney or Melbourne to Auckland, air taxes, a night in Auckland at the Stamford Plaza with breakfast, and twelve nights aboard the spectacular 116,000 tonne Diamond Princess – one of the largest cruise ships to visit Sydney. Diamond Princess sails from Auckland on January 16 2010, visiting Tauranga, Lyttleton for Christchurch, Port Chalmers for Dunedin, a full-day’s scenic cruise of the Fjordland National Park, Hobart, Melbourne and Sydney. The price now starts from just AUD$1599pp twin-share through ecruising.travel (down from AUD$2599pp) including all dining in the traditional International Dining Room, either of four Anytime Dining restaurants, or a 24-hour buffet; there’s also the choice of two Speciality dining venues in which cover charges apply. Diamond Princess also has a Wine & Caviar Bar, three lounges and bars, a patisserie, ice cream bar, pizzeria, a hamburger and hot dog grill, and daily traditional afternoon tea. Onboard facilities include four pools, hot tubs, a spa, gym and fitness area, nine-hole putting course, virtual golf simulators, jogging track, shuffleboard and centre court, art exhibitions and lectures on areas visited. This October, the National Parks and Wildlife Service will bring Sydney’s protected Harbour Islands to life like never before. Get on board for SYDNEY HARBOUR ISLAND HOPPING, part of Crave Sydney – a major new celebration of Sydney’s unmatched way of life, offering 31 days of food, outdoor art and fun throughout October. For the first time, Fort Denison, Shark, Clark and Garden Islands will be linked with an Island Hopper ferry ticket, with exciting and unique experiences and activities planned for each island. Sydney Harbour Island Hopping is a full day excursion with something for everyone, from the youngest school-age children through to their grandparents. Also in October, will be the first ever RODD ISLAND TEA DANCE for lovers of the music and dances of the 20’s, 30’s and 40’s, and the PERFECT PICNIC for anyone looking to chill an afternoon away with their mates on Clark Island. Departing Circular Quay each half-hour on the first three Saturdays and Sundays of October, the Hop will be a celebration of our Harbour islands’ colonial and cultural history and natural beauty. Be astounded by Fort Denison, which began its colonial life as a sinbin for the garrulous and unruly before becoming the centrepiece of Sydney Harbour’s defence. Learn about Sydney’s last line of maritime defence while taking tea from the battlements, as the clash of the stonemason’s hammer keeps time for the island’s all-day musical entertainments. Marvel at the mysterious and exciting prehistoric predators and mythical indigenous creatures on Sydney’s original animal quarantine station, Shark Island. Picnic as life-sized Jurassic carnivores and their more amenable herbivorous counterparts literally bring the untouched wilderness of Shark Island to life, courtesy of groundbreaking live theatre company, Erth. Learn to survive Australia’s natural conditions from the very people who thrived here for thousands of years, living in harmony with their environment. On Clark Island, hang out with Tribal Warriors and learn how to fish, dance and appreciate Aboriginal culture. Discover amazing relics of Australia’s Naval history and experience the mighty power of our nation’s maritime fleet on Garden Island – the traditional home port of Australia’s Navy for over two centuries. Hold the con on a simulated open bridge of a World War II Destroyer, view the depths through the only fully operational submariner’s attack periscope available for public use in Australia, and learn about military technology and ordnance of yesterday and today. The Sydney Harbour Island Hop will depart Circular Quay every half hour between 9:00am and 3:00pm on the first three Saturdays and Sundays of Crave Sydney, between 3 and 18 October. Ticket prices, which include all ferry passes, and the exciting and captivating experiences planned on each, are $48.50 for adults, $35.00 for concessions and $16.50 for children. A transaction fee will apply. For more information or to book, visit www.harbourislandhopping.com.au or call Ticketmaster on 136 100. Be transported to the 20’s, 30’s and 40’s as Rodd Island hosts Tea Dances on 21 and 22 October. Offering up everything from the Charleston to the pulsating rhythms of Latin America, the New Trocadero Dance Orchestra will set the mood for the romantic and sophisticated Tea Dances. The dances will be held in the colonial style dance hall, built in 1889 and home to one of the best spring dance floors in the southern hemisphere. Dance the day away or just enjoy the atmosphere, whether reliving the majestic musical period or experiencing it for the first time. With three two hour sessions per day at 11am to 1:00pm, 1:30pm to 3:30pm and 4:00pm to 6:00pm, the Rodd Island Tea Dances will be great for anyone keen on the music and dances of the era. The ticket price of $50.00 per adult ($40.00 concession) includes return ferry transfers from Circular Quay and all dining and entertainment on the island. A transaction fee will apply. For more information or to book, visit www.harbourislandhopping.com.au or call Ticketmaster on 136 100. If the idea of an afternoon hanging out with your mates on one of Sydney’s harbour islands grabs you, the Perfect Picnic on Sunday 25 October is for you. DJ Lady Tre will set the ambient mood for an afternoon chilling on Clark Island. Bring your own picnic and drinks, with prizes throughout the day for the best costumes and picnic setups. Explore the island and get into group games, or just lay back among the trees in the biggest picnic Clark Island has ever seen. The ticket price of $50.00 per adult ($35.00 concession) includes ferry shuttles to and from the island, which will leave Circular Quay every half hour between 11am and 5:30pm on the day. A transaction fee will apply. For more information or to book, visit www.harbourislandhopping.com.au or call Ticketmaster 136 100. Sydney Harbour Island Hopping is one of seven events in Crave Sydney. Other events include Sydney International Food Festival, Art & About, Darling Harbour Fiesta, World’s Funniest Island, Seven Bridges Walk and Breakfast on the Bridge. To plan your Crave Sydney experience visit www.cravesydney.com . NSW on behalf of the NSW Government. British Airways celebrates 90 years of leading the travel industry today. On August 25, 1919 the world's first daily international air service was launched from London to Paris, operated by Air Transport & Travel Ltd - a precursor to British Airways. Since then, the airline has carried more than 1.2 billion customers on its extensive network, and become recognised as one of the world’s elite carriers. Next year, British Airways will celebrate 75 years of flying Down Under. On 20th April, 1935 the first flight took off from London and touched down 12 days later in Brisbane. Paying tribute to the airline, Prime Minister Gordon Brown said: "British Airways has never lost the pioneering spirit and vision that saw it take to the skies with the world's first daily international flight from London to Paris on this day in 1919. “Ninety years on, the world's most iconic airline is still proudly flying the flag and remains a great British brand. Many congratulations to all its staff - past and present, on this special day." British Airways chairman Martin Broughton said: “Over the past nine decades, British Airways has played its part in many historic episodes. We provided the first air links to far-flung capitals in the days of empire, flew Winston Churchill across the Atlantic during wartime, brought Queen Elizabeth back to Britain after the passing of George VI, repeatedly led the way with aircraft innovation and have often proudly transported home our sports teams from success overseas. The airline is marking the occasion in various ways. Swarovski, the world’s leading producer of precision-cut crystal, has loaned a giant bejewelled Union Flag to the airline. The stunning 4ft by 2ft artwork is embossed with more than 126,000 crystallised Swarovski Elements ™ and will be in the British Airways arrivals lounge in Terminal 5 until September. An internal exhibition will showcase memorabilia from nine decades of travel, while customers in Terminal 5 have been treated to cabin crew and TV personality Kirsty Gallacher modelling vintage uniforms in the terminal in the run up to its anniversary week. IN his continuing search for the more weird, whacky and wondrous in the world of travel, DAVID ELLIS says that for something totally different you can now hire Rupert Murdoch's 56m (183-feet) superyacht Rosehearty for the holiday of a lifetime. Whether Rupert has put his boat on the charter market because of tough economic times or just to help defray its running costs we don't know, but Rosehearty comes complete with accommodation for ten guests in five queen-bed staterooms (each with plasma screen TVs,) and if you're the hirer you'll get the Owner's Suite and therefore the opportunity to sleep in Rupert's king-size bed. 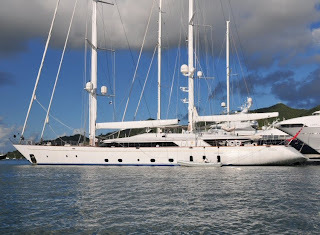 All this will cost you from just $373,500 a week, and hopefully it includes tips for the nine crew who will look after your every need – although if you can afford the charter price we guess the tips aren't going to worry you. IT was 163 years ago next month that a young colonial explorer, John Ainsworth Horrocks died in one of the more bizarre events in our early history. Horrocks and his brother Eustace had sailed from England in late 1838, arriving in Adelaide on March 22 1839 – John's twenty-first birthday. The young adventurer ran into explorer Edward John Eyre in Adelaide, and when he mentioned his desire to "settle on the land," Eyre suggested rich agricultural country he'd discovered about 160kms north of Adelaide. Leaving his brother in Adelaide, the comfortably-off John took a man servant with him, and in the upper Hutt Valley pegged a claim on which he quickly established a profitable cattle and sheep run. He also made several forays into the unexplored wilderness further to the north, and finding even more agricultural treasures, soon had eager settlers following in his footsteps; within a few years he'd established a little community around his own property, naming it Penwortham after his birthplace in Lancashire. Then in July 1846 he set off on his last, ill-fated journey. Included in his party were the artist S.T. 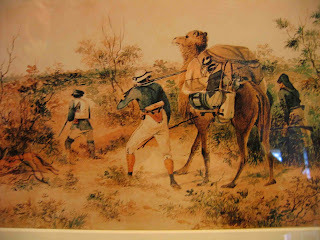 Gill to record their travels on canvas, H. Theakstone as 2-I-C, a driver for their carts and drays, a tent keeper, and an Aboriginal goatherd named Jimmy Moorehouse. They had six horses, twelve goats, a camel named Harry that was the first-ever used in the Colony on an expedition, and supplies that included flour, tea, arrowroot, kegs of water, rice, sago, hard-tack biscuits, medicines, tobacco and one tent for the men, and another for Horrocks. To supplement their rations they shot emus and kangaroos – including one 1.75m tall that the unfortunate Jimmy Moorehouse was forced to carry five kilometres back to their camp on his shoulders. And when part of a cart axle broke in rough country, one of the drivers walked back to a cattle station they'd passed two days earlier to seek a spare part. The party hauled their carts and drays through creeks, into bush that often had to be hacked down to make a way, up hills and into valleys, and in September – about six days north of the upper reaches of Spencer Gulf – came upon a broad lake that Horrocks named after the artist Gill. Sighting a large bird in scrub, Horrocks decided to shoot it for food and began loading his shotgun. Someone called for Harry the camel to sit so they could access another shot-belt, but when it knelt it lurched to one side – and in a bizarre million-to-one chance part of the saddle struck the hammers of Horrocks' shotgun. His middle finger was blown off and several pellets smashed into his face, wounding him badly; the driver Kilroy set out for a station over 100kms away where he would ask them to summon a doctor from Penwortham. With Horrocks alternating between signs of improvement and deterioration the remainder of the party also headed back to Penwortham, remarkably covering up to 40km a day. They arrived there three weeks later but John Horrocks, still just 28 years of age, died at his home on September 23 1846 and was buried on his property. 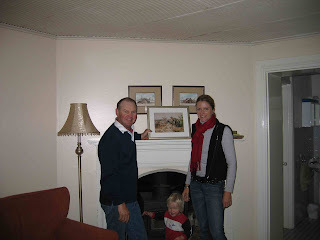 And interestingly for inquisitive holidaymakers today, when he'd first started travelling between Adelaide and Penwortham, Horrocks would overnight in the-now wine-rich Clare Valley at a place local tribes called Mundawora (meaning "Two Ponds,") and around which a cattle and sheep station was established 40 years after Horrocks' death. Today it's owned by John and Gayle Barry who live in the original circa-1880s main house and operate a B&B called Mundawora Mews in the historic stone one-time stables, workers' rooms, dairy and kitchen. Each of today's cosy four guest suites has either 1- or 2-bedrooms, queen beds, large ensuites, a lounge/kitchenette with wood fire, electric oven with cook-tops, fridge, TV, and dining setting; daily breakfast supplies include cereals, local bacon and fresh Mundawora eggs, bread, juice, milk, home-made jam and tea and coffee. 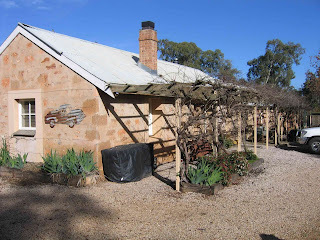 There's also a complimentary $16 bottle of Jim Barry Watervale Riesling; prices start from $160 per night for two, and guests are free to wander the 50ha property that has sheep, cattle and alpacas, vineyards and abundant bird and wildlife… and the two ponds where John Horrocks regularly camped. Blue Lagoon Cruises has diversified its overall product range at the same time opening up new business opportunities for hotel and resort operators in Fiji's Yasawa islands with the launch of a new multi-tiered series of 'island hopping' options in the region. Seen as offering a new transportation solution for the thousands of FIT travelers, predominantly 'flashpackers', visiting the islands every year, the boutique island cruise specialist will position the MV Lycianda on the route which officially commences operation on 31 August. Departing from the cruise company's home port of Lautoka every Monday and Thursday, the new program will connect the popular backpacker-oriented Bounty Island Resort and Beachcomber Island Resort in the Mamanuca Islands with more than 20 resorts spread across the Yasawas. The program structure also includes the opportunity for passengers to spend two nights on board the 21-berth vessel at Blue Lagoon Cruises 'private island, Nanuya Lailai. Prices for the program start from FJD50* for a day pass which can be used for departures ex-Lautoka as well as for passengers joining the vessel at any point along the entire cruise program. Cost includes morning and afternoon tea plus lunch depending on which point passengers embark and disembark from. An 'Overnight Pass' is priced from FJD150* based on a one-night onboard stay with afternoon tea, dinner, breakfast and lunch included. Two night options and 'Combi Passes' offering onboard accommodation and pick-up/drop-off options along the entire route are also available. For those wishing to stay on board for the entire three-day cruise program which overnights at picturesque Yalobi Bay and Nanuya Lailai, prices start from FJD350* per person in shared accommodation inclusive of all meals while on board. The 39-metre MV Lycianda's facilities include 21 air conditioned cabins, a 60-seat dining room, sun deck and cocktail bar. Blue Lagoon Cruises' CEO Tim Stonhill said the commencement of the new Yasawa service would provide a much needed and very affordable transportation service for travellers visiting the islands. "The new service opens up a whole new source of business opportunity for the hotels and resorts spread right across the Yasawas, all of which stand to benefit in terms of their ability to promote themselves to a much wider audience," he said. "The new service will also benefit the Yasawa Islanders, many of whom are dependent on and see Blue Lagoon Cruises vessels as a primary source of freight transportation in the region." As an added bonus, Blue Lagoon Cruises is also offering a free bus transfer between Nadi and Lautoka on arrival/departure days. Booked passengers simply have to flag down a special bus service or wait at clearly marked stops along the Queens Highway which links both towns. For more information please visit www.bluelagooncruises.com or telephone Blue Lagoon Cruises in Lautoka, Fiji, on +679 666 1622, facsimile +679 666 4098 or via email on reservations@blc.com.fj. Gecko’s Launches New Asian Adventures – with $150 Off! Gecko’s Adventures has launched two new Asia brochures, packed with grass-roots adventures from Kathmandu to Kerala, Bangkok to Beijing. And for bookings made before September 30, Gecko’s is offering $150 off all the featured holidays. Thailand may be a well-trodden tourist destination, but Gecko’s has combined the more famous tropical getaways such as Koh Phang Ngan and Samui with exploring delightful stretches of coastline, beyond the bright lights, staying in tiny fishing villages in stilt houses built over the water. The Southern Thailand Adventure, featured in the new Asia & China 2009-2011 brochure, also visits Khao Sam Roi Yort National Park, which translates as ‘Mountain of 300 peaks’ in reference to the karst outcrops that define the landscape. As with all Gecko’s adventures, the 12-day trip is designed for maximum immersion: groups are accompanied by a Gecko’s local leader; travel is by public transport and accommodation is in family-owned properties. The trip has monthly departures, year-round, from Bangkok and costs $1245 per person, twin share, land only. Continuing Gecko’s theme of getting off the beaten track, all Gecko’s adventures in northern India now include a homestay in the pastel-painted rural village of Tordi Garh. Gelato-coloured walls offset brilliant saris, jewel-coloured turbans - and the warm smiles and traditional hospitality of the villagers, who rarely see travellers. Gecko’s groups are hosted by the owner of the Tordi palace, a direct descendant of the feudal lord who built the palace in the 16th century. The Hidden Secrets of India trip, featured in the India & Nepal 2009-2011 brochure includes Tordi Garh, as well as the pink city of Jaipur, the blue city of Jodhpur, the lake city of Udaipur and Agra, to visit the Taj Mahal. It also includes Ranthambore National Park, for the chance of seeing a Bengal tiger. There are monthly departures, year-round, from Delhi, costing $1895 per person, twin share, land only. The India & Nepal 2009-2011 and Asia & China 2009-2011 brochures are out now. For all new bookings made before September 30, Gecko’s is offering $150 off all trips, for travel between November 1, 2009 and March 31, 2010. For further information, visit your travel agent or call 1300 854 500 or visit www.geckosadventures.com to download a brochure. Indulge your girlfriend, spoil your sister or escape with the man of your dreams for a sublime getaway in Cairns. The Lakes Cairns Resort and Spa Indulgent Package starts at $357 per person for three nights accommodation in a one-bedroom apartment, a 60-minute Relaxation Massage at Reds Day Spa, Reds Pamper Pack, sparkling wine and chocolates on arrival and return airport transfers. Only 3km from the Cairns International Airport and 3km from the Cairns CBD, The Lakes Cairns Resort and Spa is close to the city’s shops, including DFO, cinemas and within easy reach of the Great Barrier Reef and Tropical North Queensland’s rainforests. The award-winning 4.5 star resort is situated on 4ha of lush tropical gardens, scenic lakes and large resort style pools in the heart of Cairns city’s cultural precinct. The Lakes is a member of Vision Hotels and Resorts. For bookings and information email reservations@visionhotelsandresorts.com or call 1800 666 614. The world's only Inuit owned and operated cruise company embarks on its inaugural trip through the Inuit homeland of the Northwest Passage this Friday, August 28, 2009. During the years of early exploration, explorers would rely on Inuit, who have been living along the passage for centuries, for guidance, companionship, fresh meat and other supplies. Now, Inuit are continuing this practice, by guiding passengers from all over the world through this historic waterway. Tracing the legendary trading route first navigated by Roald Amundsen in 1903-1906, Cruise North’s Northwest Passage voyage begins in the High Arctic’s Resolute Bay and travels through the Canadian Arctic archipelago. In this land of true polar desert, passengers follow the routes of the intrepid explorers, going only where the ice permits, for even with the effects of climate change, ice reigns supreme. The itinerary calls for exploration of the waterway, along with historic sites left as they were abandoned more than a hundred years ago, including Beechey Island, Victory Point, Cambridge Bay, Gjoa Haven, Bellot Strait and Prince Leopold Island. Cruise North Expeditions passengers travel in comfort and safety aboard the ice-class rated 122-passsenger ship, the Lyubov Orlova, in the capable hands of a first-rate expedition team, accompanied by historians, naturalists, ornithologists and Inuit guides and elders. Note: Cruise North Expeditions is a subsidiary of the Inuit-owned Makivik Corporation of Quebec, a highly successful investment corporation born of the first modern-day Aboriginal land claim settlement agreement in Canada (the JBNQA of 1975). Makivik also owns the well-respected First Air and Air Inuit. One of the more unusual South Pacific cruise holidays for those seeking the out-of-the-ordinary, departs Lima in Peru next January for Easter and Pitcairn Islands, Tahiti, Samoa, Fiji, New Zealand, Hobart and Sydney. And making this 34-night cruise all the more memorable is that it is aboard Saga Ruby that offers a unique cruising experience of classic yester-year English graciousness, ambience and indulgence for just 660-guests. Cruiseco has a fly, cruise and stay package that includes air and taxes from Sydney to Lima, two nights in Buenos Aires with breakfasts daily, a Buenos Aires City Tour and Dinner Show, transfers and a night in Lima with breakfast. Saga Ruby will sail from Lima’s port of Callao on January 28 2010 for a day at Easter Island with a launch or tender landing, a day at anchor off Pitcairn Island*, and days ashore in Papeete, Bora Bora, Apia, Suva, and Lautoka. In New Zealand there’s a day each in the Bay of Islands, Auckland, Tauranga, Napier, Wellington, Lyttleton (Christchurch,) Dunedin, a cruise of the New Zealand Fjords, followed by Tasmania and a day in Hobart, and Sydney. 37-night Fly, Cruise and Stay prices start from $11,695pp twin-share and are subject to availability at time of booking; for more details phone 1800 225 656 or visit www.cruising.com.au for the name of your nearest Cruiseco cruise specialist Australia-wide. *Passengers do not go ashore on Pitcairn Island. SAGA RUBY offers an elegant, award-winning Dining Room with anytime nightly dining between 6.45pm and 9pm, a casual Lido Café for breakfast and lunch, traditional English Afternoon Tea, several bars and lounges, a ballroom and live stage entertainment, spa, library and computer centre. Qantas has just reported a $181 million pre-tax profit for the year to 30 Jun, down 87% on last year. Yields slipped 4.3% due to weaker domestic and international demand, while the overall load factor also fell 1 point to 79.6%. The carrier said the result was also impacted by one-off events including $130m in extra costs due to industrial action by the Australian Licenced Aircraft Engineers Association, and an estimated $45m hit due to swine flu. CEO Alan Joyce said the diversity of the Qantas Group's operations had contributed to it "being one of the few airline operators worldwide to produce a full year profit, despite the impact of the global economic downturn. "There has never been a more volatile and challenging time for the world's aviation industry," he said. Joyce also announced the addition of four Airbus A330 aircraft, on six-year leases, to allow for Jetstar's long-haul international growth. hinterland above Byron Bay, Australia. Spa treatments, daily housekeeping & catering can be arranged at an additional cost. Set on 80 abundant acres, overlooking a remarkable rainforest valley in lush Byron Bay hinterland is Emerald Valley Villa - a unique, eco-friendly development providing premium luxury private rental accommodation like no other. Creator of Emerald Valley Villa, Michael J Robison says, “Emerald Valley Villa is an exemplary model of sustainable living without compromising luxury or technology. All the building structures and grounds have been designed for minimum impact on the surrounding environment; the Villa is climate neutral and runs on 100% green power. Emerald Valley Villa was developed as a landmark demonstration of how design, technology and ecology can combine to create luxurious living without causing harm to the earth” says Robison. Amidst the relaxing atmosphere and scenic views, Emerald Valley Villa offers the ultimate in world-class standards within a completely private and secure environment for up to 8 people. Architectural and design elements gracing the property pay homage to Bali’s unique arts and traditions whilst embracing modern design aesthetics. Recycled hardwoods, imported stone and marble is featured throughout the villa, right down to the hand-cut stone framing the garden flower-beds. In addition, this private estate boasts a master suite and three expansive bedrooms all with adjacent marble bathrooms opening onto private, tropical gardens. Onsite luxurious spa therapies including a private marble steam room, state of the art kitchen, outdoor BBQ and daily housekeeping services are available to all guests. In addition, all modern technologies are onsite including broadband internet, satellite television and telephone facilities. For easy access to all areas of the property guests have complimentary use of the fun 4 x 4 Polaris-Ranger. Emerald Valley Villa even boasts its own private waterfall and lake complete with a custom made River Pavilion where you can spend a day in secluded paradise with an abundance of rare wildlife which will simply amaze you including our very own resident platypus'. The extraordinary landscaping has been terraced into four levels, all carefully planted with fragrant flora including gardenias, jasmine and champaka amongst many other graceful flowers and blossoming trees.